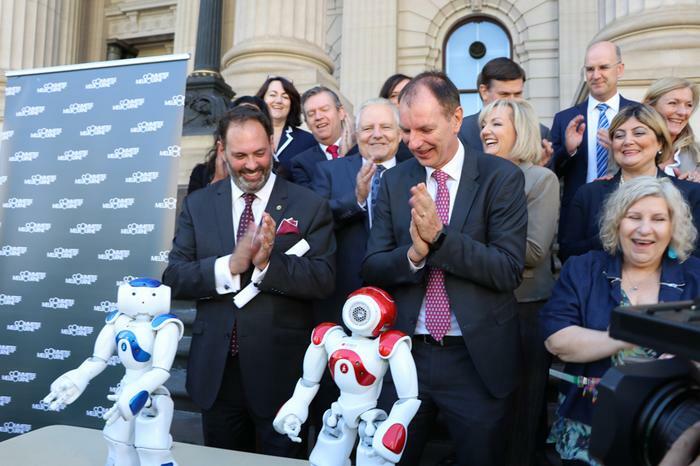 The Victorian government has launched an all-party parliamentary group to consider the policy challenges and opportunities presented by artificial intelligence. The group – the first of its kind in Australia – was established this week by Innovation Minister Philip Dalidakis and Shadow Minister David Southwick. “AI will play a huge part in how we do business and conduct our lives in the future, so it’s important that politicians are discussing the challenges and opportunities that will arise as this technology develops,” Dalidakis said. The formation of the group was the result of campaigning from the Committee for Melbourne, working with the Victorian Parliamentary Library and Information Service and the Australian Academy of Technology and Engineering. “Simulated human intelligence performed by computers and machines, also known as AI, is one of the key drivers of the Fourth Industrial Revolution; it is hard to overstate its importance, its impact and the implications for our economy and our community,” said Committee for Melbourne CEO, Martine Letts. “Government is uniquely placed to respond to these challenges in a way that will contribute to our future,” she added. A similar group was set up by the UK Parliament last year, the first of its kind in the world. In its last report, the UK group recommended the appointment of a Minister for AI in the Cabinet Office. The governments of Canada, the United States, China, and Japan have all introduced national development plans around AI.